Today I’d love to share my interview with Kou Nelson, author of Safe Upon the Shore, one of Specter Spectacular’s 13 ghost stories. Kou K. Nelson lives in Northern California and “Safe Upon the Shore” is her first fiction publication under her own name. Her previous works are an academic work, LSU College of Engineering, Volume1 and a short story published under her dog, Taro’s name in Real Life Pet Wisdom. 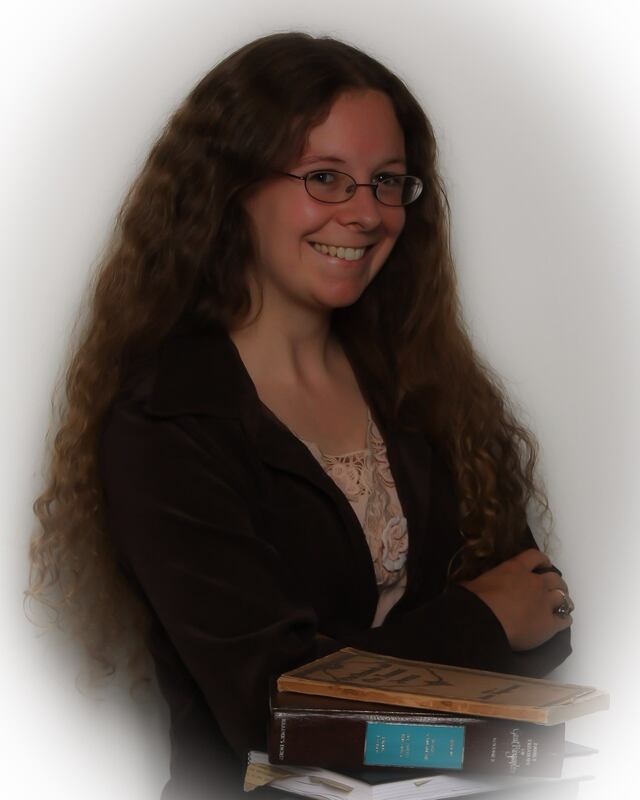 She is currently working on her second novel, a gothic romance set in turn-of-the-century United States. Follow her on her website or her blog. Kristina: The story takes place in Harbour Deep, Newfoundland, which provides a unique seashore setting that I loved. Have you ever been there? What made you choose Newfoundland as the location for you story? Kou: While I have been to Newfoundland, unfortunately, I’ve not been to Harbour Deep. I chose Newfoundland as my setting for a few reasons: Firstly, I wanted someplace that seemed vaguely familiar. While many people have heard of Newfoundland (mostly because of the dog breed), they really don’t know anything about it, except perhaps that Newfoundlanders are extremely generous and kind as displayed when planes were diverted to Gander during 9/11. Historically, Newfoundland was settled primarily by displaced Irish and there is a strong Irish influence (still heard in their accent and music), and most people would recognize that part of the story, but what makes Newfoundlanders different is their strength, perseverance, and optimism which comes from a people who dared to leave the comfort and familiarity of their homeland to look for something better in a harsh, isolated territory. As with many seafaring communities, Newfoundland is rich with tales of people lost at sea returning to their loved ones. Dale Jarvis offers FABULOUS walking tours in St. John’s, Newfoundland, including a ghost tour, where he tells fabulous stories about various locations. Finally, I’m a fan of folk music and of the Newfoundland band Great Big Sea. As a wink to some of my friends, I wanted to write a story that incorporated characters from some of the band’s song lyrics as well as scrambled versions of the band members’ names. My title, Safe Upon the Shore, is the title of their most recent album. And here is their version of Safe Upon the Shore. How did you come up with the ship’s name, the Teresa Maria? I usually listen to music while I write, so I was listening to a compilation album of Newfoundland bands singing sea chanties. Teresa Maria is a song about a boat that is sung by Fine Crowd, so I threw that in as another nod to Newfoundland. Are the 14 seals that appear on the beach real animals serving as a sign of the 14 men that are returning, or are they the men themselves, returning as selkies? It is actually the silhouettes of the men as seen through the fog and because Newfoundland does have a rather large seal population, I used that as narrator’s initial thought. However, it was also meant as a nod to selkies, (Lots of nodding going in this story. Hopefully, not the kind one gets before falling asleep). Oh, absolutely not, Kou! I was on the edge of my seat through the whole story! 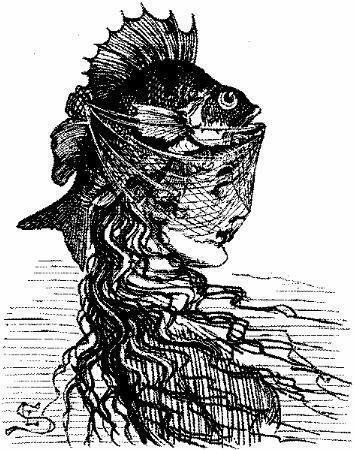 Is the personification of the sea based on legend, and why did you choose to make it feminine? I love the line, “… we glanced back at Harbour Deep, but by then it was gone, with nothing but a cruel greedy arm in its place.” Is this based on historic flooding of the area? The “real” Harbour Deep is a ghost town where The Running of the Goat supposedly originated (although there are similar contra dances in France and Britain). However, the current Harbour Deep is a ghost town due to the decline of the fishing industry rather than a flood. By having it flood, I could play with its current location off of Jackson’s Arm (hence the “greedy arm”), which is a natural harbor, far from the Labrador Sea. This was all a recent modification – I had meant to portray the location as a generic sea faring village, but the editors at World Weaver Press wanted it more specific, perhaps because of the “accent” or maybe because I inserted enough “truth” to warrant the “real” Harbour Deep it’s due. Although, at this point, like many authors, I’ve messed around with so much that reality and fiction are beginning to blur. Could you explain the significance of the last dance they performed, The Running of the Goat? The Running of the Goat is a traditional Newfoundland set dance (like American square dancing) that supposedly originated in Harbour Deep. If you get the opportunity to see Random Passage, the dance is featured in it as well. I learned the dance while taking traditional set dance classes during the Newfoundland and Labrador Folk Festival (an absolutely incredible 3 day event rich with music, dance, storytelling, and handcrafts). It’s a fun and intricate dance however during the evening concert performances, people spontaneously jumped up and started the dance – sometimes there were 2 or 3 sets going! I don’t think all those people were from Harbour Deep. I found it ironic that Harbour Deep disappeared before the dance did, and I wondered why that would be? Why would a set dance survive when a town that had changed with the times (to its detriment) did not? So, I gave the dance a magical purpose. Doesn’t everyone get a rather dreamy otherworldly feeling when swept up in movement and music? How long have you been writing and what kinds of literature do you most enjoy writing and reading? Oh, goodness. I’ve been writing stories since I learned how to write. In fact, for the longest time, I thought writing stories was why people wrote. Then I was introduced to essays and research papers and “What I Did over Summer Vacation.” It took me a while to realize those were all types of stories as well. As for reading, I go into phases, although my favorite books tend to be historical fiction or “classics.” I love magical realism as well and I collect folk tales from around the world. I like being entertained when I read, but ultimately I want to learn something, whether it’s about a different time period or a twist on traditional perspectives. I enjoy writing historical fiction, but oddly, the three stories I’ve had accepted for publication recently have been accepted as horror. Who knew? Maybe it’s the goth in me? Or maybe it’s an extension of my grim humor. They are funny. Then again, I thought Kafka’s Metamorphosis was hilarious. Well, Kou, you’ve certainly created an entertaining story that has taught us a lot about the culture, and mythic possibilities, surrounding Harbour Deep! Have you ever experienced any hauntings or other spectral activity in real life? Yes, I’ve had a few interesting experiences with spectral activity, coincidentally, most of them have involved dogs. But the most interesting “haunting” involved me, although I wasn’t aware of it: When my husband and I first moved up to Northern California, people kept commenting that we had a lot of dogs. We had two: one we brought with us and another adopted shortly after our move. At first, because I walked my dogs separately twice a day, I thought the neighbors assumed I had four dogs. I suggested this and they would give me a puzzled look. They said I walked with 3 dogs at a time. It wasn’t just one neighbor who said this. I thought maybe they mistook me for someone else? They kept insisting it was me. I gave up trying to convince everyone but then I thought about it. I never asked my neighbors what my “other dogs” looked like. The month before we moved up north, two of my dogs, Rosie and Camille, died unexpectedly. We were devastated. We’d bought our house, planned our move, expecting that we’d have three dogs with us. It makes me happy to know that we still did – plus our new addition. Thank you so much for taking the time to share the stories behind your story with us, Kou, this has been most interesting! Thanks so much, Kristina! It’s been fun.